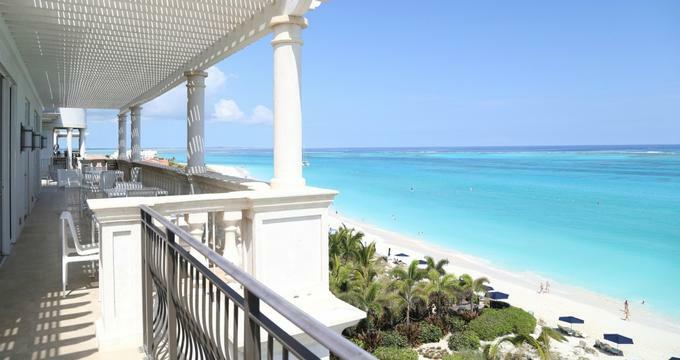 Providenciales is the largest city in the Turks and Caicos Islands, a British overseas territory and it is well-known for its excellent climate. It boasts clear blue skies and temperatures that do not vary much from day to day. The summer season runs from June to October - the temperatures are a bit warmer during the late summer months. The winter season from November to May sees slightly cooler but still warm temperatures. 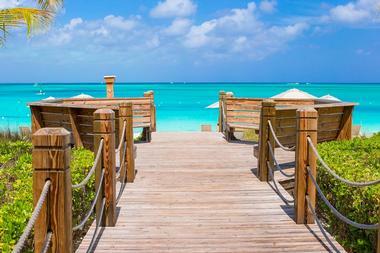 There are typically 350 days of sunshine each year in Providenciales. The winter is the peak season and many people consider this the best time to visit Providenciales at this time in order to escape cold weather at home. January is the coolest month of the year in the tropical locale of Providenciales. With an average low temperature of 73°F (23°C) and an average high temperature of 80°F (27°C), the mild temperature guarantees a high volume of tourists in Turks and Caicos at this time. In February, the low temperature average stays the same at 73°F (23°C) but the average high temperature gets a small bump up to 81°F (27°C). Providenciales Weather in March: It’s a dry month in Providenciales as March gets the least rain of the year with just 1 inch of expected rainfall. Both the average high and average low temperatures see a 1-degree increase, rising to 82°F (28°C) and 74°F (23°C) respectively. In April the weather continues to warm up with the low temperature averaging increasing to 75°F (24°C). The high temperature average sees a 1 degree bump up to 83°F (28°C). May brings with it even warmer temperatures with the average low temperature and the average high temperature ranging between 77°F (25°C) and 85°F (29°C). Meanwhile, precipitation levels remain quite low with just 1 inch of expected rainfall. Providenciales Weather in June: As the start of the low season, June sees some of the warmest weather in Providenciales with the high temperature average reaching 86°F (30°C). Low temperature averages hit 79°F (26°C). July still sees a 1-inch precipitation average as it is still early on in the Providenciales’ low and rainy season. The average low temperature sees another small increase up to 80°F (27°C) while the temperature measures in at 87°F (31°C) for the average high temperature. In August, Providenciales gets the hottest weather of the year with the average high temperature peaking at 87°F (31°C) and the average low temperature reaching 80°F (27°C). Providenciales Weather in September: There’s no sign of the heat dying down any time soon in September as both the low temperature average and high temperature average remain the same at 80°F (27°C) and 87°F (31°C) respectively. In October the temperatures see a small decrease with 79°F (26°C) being the average low temperature. The average high temperature cools down by 2 degrees to 86°F (30°C). November is the wettest month of the year in Providenciales and also the last month of the ow season with a precipitation average of 4 inches. The average high temperature drops another 2 degrees to 84°F (29°C) while the average low temperature sees a 3-degree decrease to 76°F (24°C). In December the peak season kicks off once again as tourists flock to Providenciales’ beaches to escape winter. The average high temperature drops another degree to 75°F (24°C). Similarly, the average high temperature decreases another couple of degrees to 82°F (28°C). A breathtaking locale in the Caribbean, Providenciales offers fantastic sights and sounds for vacationers of all ages to enjoy. The weather is generally pleasant all year with the peak season starting in December and running all the way until the end of March. If you are searching for the perfect balance between crowds and prices, the best time to visit is during the sweet spots of April and May. To catch activities like the Turks and Caicos Kite Flying Competition and the South Caicos Regatta, visit in May. For the most affordable rates in Providenciales, visit between June and November. Just remember that this is the rainy season so there could be a chance of hurricanes. At the Providenciales International Airport there is no form of public transportation to take you into the center of the city. You can make arrangements with some of the accommodations to meet you at the airport and take you to your hotel. At the airport there are many car rental agencies: this is another option for getting from the airport into the city. The ten or so car rental agencies also include scooter rentals. The other choice is to make use of the services of a taxi. There are taxis that wait outside of the baggage claim area of the arrivals section of the airport. 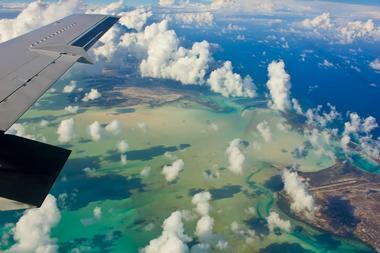 If you rent a car at the airport you will probably be using it to get around Providenciales and the surrounding areas. There are also car rental agencies in the city as well. Remember that, as a British overseas territory, cars drive on the left on all of the islands. Using a car is a good way to get around, but keep in mind that some hotels have limited parking and there can sometimes be traffic congestion in Providenciales. Many people enjoy walking or riding bicycles to get around the city. There are good sidewalks and this makes it easy and pleasant to walk or cycle. There are many good restaurants in Providenciales; on the other hand, everything has to be brought in daily to be fresh, so prices are high. Fine dining restaurants are expensive, but if you want a quick snack like a slice of pizza or a sandwich, the prices will not be exorbitant. 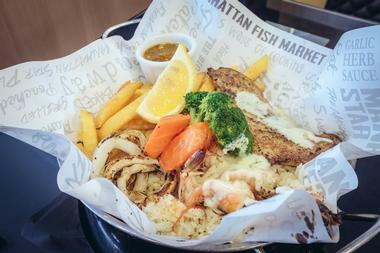 There are very few fast-food restaurants or restaurant chains in Providenciales. Many hotels and resorts offer complimentary breakfasts with their room rates, so you can start your day with a hearty breakfast. Caribbean cuisine is served in casual beach shacks: food like cod fish cakes, peas and rice, stewed fish, conch fritters, and lobsters. 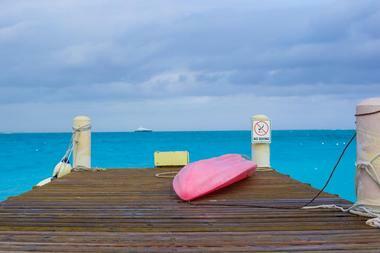 Providenciales offers several options for visitors who want to do some shopping for souvenirs or gifts. There are several “shopping villages” or plazas along Grace Bay Road such as Le Vele Plaza, Ocean Club Plaza, and Regent Village. There are two older shopping plazas: these are Ports of Call and Saltmills, both located on Grace Bay Road. 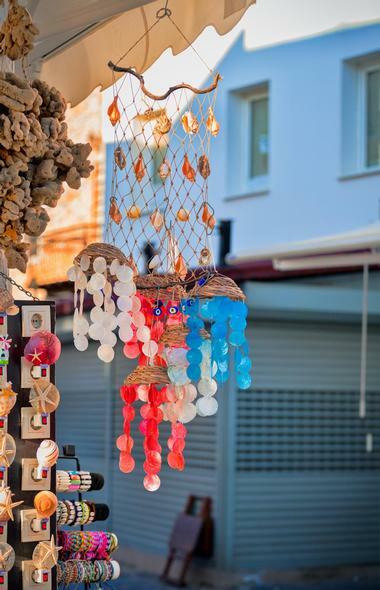 Regional artwork is something that many visitors look for when shopping in Providenciales: these include colorful paintings, fanner-grass baskets, silvertop-palm bags and hats, and other handicrafts. Several of the hotels and resorts have shops that are worth exploring like Amanyara, the Gansevoort, and the Meridien Club. Providenciales is a beautiful location for a wedding. Foreigners are permitted to get married in Turks and Caicos: all paperwork should be submitted to the Office of the Registrar in Providenciales before you can get your marriage license. 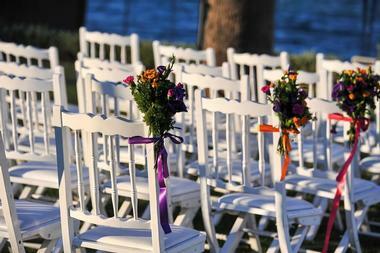 The ceremony will be performed by a local minister, a Registrar, or a Justice of the Peace. There are several hotels and resorts that are popular wedding venues such as the Aquamarine Beach Houses, the Grace Bay Club, the Seven Stars Resort and Spa, the Villa Renaissance, and more. You can also have your wedding at sea. Several companies offer sunset cruises and sailing tours that can be personalized for your special day. 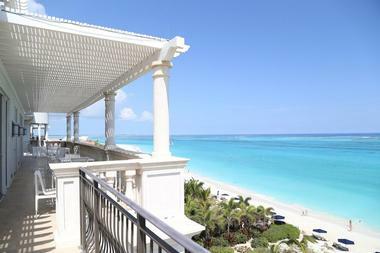 Many of the accommodations on Providenciales are high-end luxury resorts and hotels. These include the Alamandra Villa, the Amanyara, Amazing Grace, the Five Little Cays House, the Three Cays Villa, and many more. Less expensive hotels are the Airport Hotel, the Alexandra Resort, Allegria, and other hotels. The Angelfish Reef Villa is a private two story villa with three bedrooms, two independent self-contained units, a stunning ocean view, and a private swimming pool. The Apartment at La Casita is a private apartment with a kitchen, a pool, and is located just a two minute walk to a white sandy beach.